I've got 1 of my Poundland bargains for you today. 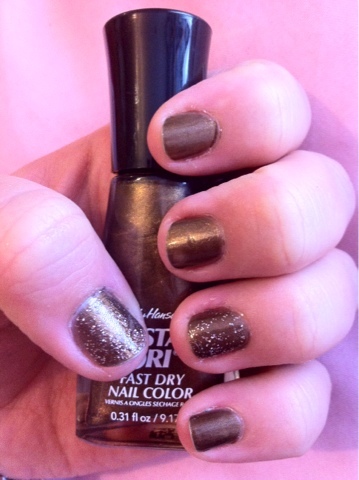 Bronze Ablaze looks like a fab duo chrome in the bottle, on the nail not so much, though its still nice. Application was fine, I really liked the flat brush and stem. 1 coat was fully opaque but I always do 2 for good measure. 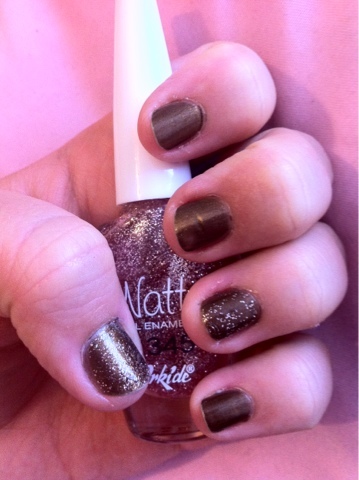 Then I added a nice pale pink Natty glitter polish I got on hols to my ring and thumb. Are bronze and pink a good combo?